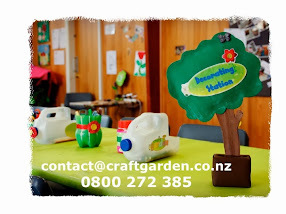 Craft Garden operates during the school holidays only, from 9am to 3pm on weekdays at St. Paul's Anglican Church in Paraparaumu. We cater for up to 30 children per day. Parents are responsible for packing children's morning tea and lunch. Primary school age children are welcome to attend Craft Garden, but we have noticed that children 5 to 8 seems to enjoy our programme a little more than the older ones, unles they really really enjoy arts and craft! 9 a.m. to 3 p.m. weekdays. 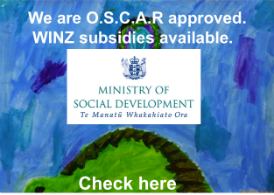 We are OSCAR approved and WINZ subisidies are available.